Australia’s taxman is once again sounding the alarm over fraudsters impersonating tax officials and demanding that tax debts be paid in bitcoin as well as other ‘unusual’ methods. In the latest scam alert, the Australian Taxation Office has warned that scammers are going around threatening to get the federal police to send Australians to jail if their tax debts were not cleared urgently. The tax authority highlighted a case where an individual pseudonymously named Darren was contacted by a scammer who claimed he owed the taxman AU$9,000. The scammer threatened Darren with a jail sentence of half a decade if the amount was not paid the same day. Under pressure, Darren went on to provide the contact details of his tax agent to the scammer in order to clear things up. Conveniently, however, when the con artist called Darren’s tax agent, he was found to be in a meeting. But there was another individual named Grey who purportedly worked in the same practice and who offered to assist. Grey then ‘corroborated’ the scammer’s assertions. Besides bitcoin the ATO also revealed that the fraudsters were also demanding ‘tax debts’ to be paid in other unusual methods such as iTunes balance, pre-paid visa cards and store gift cards. According to the Australian Taxation Office, the best way to avoid being conned is to keep abreast of one’s tax affairs as it will be easier to tell outright scams when there’s clear knowledge of the ‘debts owed, refunds due and lodgments outstanding’. This is not the first time that the ATO is warning against scammers who have turned to cryptocurrencies. In a previous scam alert which was reported by CCN in March, Australia’s taxman warned against con artists who were posing as employees of the tax authority. At the time it was estimated that the fraudsters had collected bitcoin more than AUD$50,000 from their victims in a scheme that had started in 2017. Despite the Chinese government’s frequent warnings and unprecedented actions to block their citizen’s access to cryptocurrency, the country’s middle class is becoming increasingly interested in cryptocurrencies as an investment vehicle. Although the middle class is expressing more interest in digital currency investments, the government’s anti-crypto actions have been effective, making it significantly harder to access digital investments than in other, freer, countries. A recent report, titled The New Middle Class, analyzes the investments and spending habits of the Chinese middle class, and for the first time ever, added Bitcoin and other cryptocurrencies as investment options, reports Tech Node. The report concludes that 10% of China’s middle class has invested in cryptocurrency, coinciding with the growing popularity of cryptocurrency in China despite the government’s ban. Although there is interest in cryptocurrency among the middle class, it is currently the least popular investment when compared to private equity, cash savings, and precious metals, and funds. The paper, which was published by famed financial writer Wu Xiaobo, notes that the middle class in China is incredibly risk adverse and are mainly concerned with stable financial growth. When taking into consideration the volatility of crypto and the risks of obtaining and trading the digital assets with the government’s ban, 10% suddenly seems like an incredibly high rate of middle class crypto ownership. The Chinese government has been struggling to fully reduce the amount of cryptocurrency ownership within the country. The People’s Bank of China (PBoC) recently released a warning to citizens that outlined the dangers posed by cryptocurrencies, and specifically Initial Coin Offerings (ICOs). The latest warning came just over a year after the authorities banned ICOs. Although the ICO and cryptocurrency ban have been successful, reducing global Yuan trading volume from 90% to less than 5%, citizens are still buying and selling cryptocurrencies by using multiple methods to access them. Virtual Private Networks (VPNs) are one method that some Chinese citizens are using to access offshore exchanges, which allows them to access foreign domains without being blocked by the government’s internet safe-guards that restrict the free flow of information and sites. Another way in which investors are circumventing the ban is by conducting peer-to-peer transactions, where a buyer and a seller utilize cold-storage solutions to exchange fiat currency for digital currency, which, although effective, can make it hard for investors to rapidly sell their holdings. 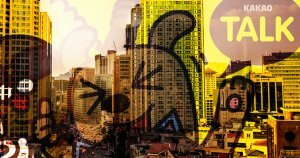 Some cryptocurrency exchanges are also catering to “underground” Chinese cryptocurrency investors, utilizing frequently changing domain names in order to bypass the government’s efforts to block the domains of well-known exchanges. Chinese companies are also working with the PBoC to eliminate illicit trading activities, with social media platforms like WeChat and Tencent, banning cryptocurrency news publications and banning users trying to sell cryptocurrencies. SEBA Crypto AG, a startup based in Switzerland, has raised 100 million Swiss Francs (around $103 million) to launch a bank which offers services related to cryptocurrencies. Headed by former UBS bankers Guido Buehler and Andreas Amschwand, the Swiss startup, SEBA Crypto AG, has successfully raised $103 million to establish a bank which offers cryptocurrency-related services. As Reuters reports, the group will be seeking a banking and securities dealer license by FINMA in order to be able to manage cryptocurrency trading as well as investments on behalf of banks and qualified investors. SEBA wants to bridge the gap between traditional banking and the new world of crypto. […] With safety, transparency and performance as core values, our ambition is to become a market leader in the convergence of traditional finance with the crypto economy. Reportedly, investors include the Hong Kong-based Summer Capital, Swiss-based BlackRiver Asset management, and others from Malaysia, China, Singapore, Switzerland, and Hong Kong. This is far from being the only recent development in the country, which has quickly turned itself into a hotspot for cryptocurrency-related projects. Earlier in February, FINMA issued ICO regulations which provide certain legislative clarity on the matter without being too loose or invasive. Shortly after, one of the largest cryptocurrency exchanges in the world by means of traded volumes, Bitfinex, revealed that it considers Switzerland to be its new home. In July, the owner and operator of the country’s stock exchange, SIX Group, announced that it will be launching a DLT-based infrastructure, further facilitating the access to cryptocurrencies, in general. What do you think of the move by SEBA Crypto AG? Let us know in the comments below! New Zealand’s police department has urged the public to be vigilant of online investment schemes offering heightened returns with investments in cryptocurrencies like bitcoin. Police in the region of Canterbury in New Zealand issued a public alert on the department’s website on Wednesday, reminding residents to be wary of crypto-investment schemes after an incident wherein a victim lost NZD$320,000 (approx. $212,500) to an online scam. While the police withheld specific details of the scam and its operators, “[t]he scam involved investments in cryptocurrencies, such as bitcoin,” the notice said. To solicit investments from its victims, the company offered lucrative returns in exchange for a small investment. “The investment grew as more money was deposited, but soon began to decline,” police added. The spiral continued with the scammer contacting the victim on several occasions to obtain more investments that were deposited on the scheme’s website. The alert also redirected residents to a crypto advisory, by CERT New Zealand, the country’s cybersecurity watchdog. With a quick explainer on the advantages and risks in cryptocurrency investments, the advisory – refreshingly – suggests cryptocurrency adopters to store their coins in offline storage to minimize hacking risks. As things stand, the cryptocurrency industry is largely unregulated in New Zealand. As reported by CCN in November 2017, the Financial Markets Authority (FMA) – the country’s financial regulator – published its official stance on cryptocurrencies and initial coin offerings (ICOs), deeming them securities. Within weeks, the FMA had issued an official warning against a teenager’s NZD$220 million cryptocurrency venture that was withdrawn less than a week after its launch. Competition among the so-called “third generation” projects is fast brewing in the South Korean blockchain and cryptocurrency market, as companies scramble to find the industry’s “killer app” and spur widespread adoption. As reported by Business Korea on Sept. 27, the third generation platforms look to build what Ethereum couldn’t, and primarily tackle the problem of scalability and network congestion. The latter, in turn, is termed the “second generation” blockchain by popular media as it attempted to overcome many of bitcoin’s inherent problems after its launch in 2015. Ethereum allows developers to build smart contracts to ensure applications free of censorship, fraud, third-party interference. Its native currency, ether, supersedes bitcoin transaction times and charges lesser fees – making the platform token more lucrative to some than the pioneer cryptocurrency. However, high commision fees and slow data processing plagued the Ethereum network in December 2017 after the protocol’s fabled benefits failed to match up the traffic demands of CryptoKitties, a digital cat collectible game based on the protocol. Third generation blockchain looks to usurp the world’s second largest cryptocurrency network with faster data processing, transaction times, and cheaper transaction fees. With regards to the above, a hoard of companies–all at different stages of development–have come out of South Korea and look to dominate the global cryptocurrency market. For example, ICON (ICX) is a third generation crypto protocol ranked 37th by market cap. The project aims to build sustainable, self-governing communities powered by their respective blockchains and running side-chains to interact with the rules of consensus of other blockchain networks. So far, no European or American blockchain project has reached the market dominance or adoption that ICON has, giving the Korean project ample first mover advantage to create a long-lasting impact in the crypto-ecosystem. Another sidechain platform is Orbs, which is garnering attention among Korean investors despite its Japanese roots. The protocol works similar to ICON, but looks to succeed Ethereum instead of being a mere replacement. Last month, Orbs executives sparked rumors of a potential partnership with stablecoin project Terra, which raised $32 million in August 2018 in a funding round led by Binance, Huobi, Monex, and others. The project already has an established partnership with Ground X–the blockchain research arm of Kakao Labs–and has privately participated in Puma Pay, a crypto-billing solution that raised $117 million via an ICO in 2018. Together, the trio looks to tap into TMON–Terra’s parent company and Korean e-commerce giant–and its 40 million-strong monthly user base. The move can help cement the position of all involved parties as one of the blockchain sector’s most noteworthy projects. Away from the cryptocurrency startup sphere, Korean multinationals are unveiling their native tokens and launching subsidiary blockchain companies. Internet giant Line recently announced the Link tokens, which will undermine its ambitious, reward-based, yet-to-be-released e-commerce and gaming platform. Kakao, valued at over $7 billion, is developing CLAY tokens for use in the Clayton platform scheduled for an October 2018 launch. Smaller startups are following suit. The Korean government is steadily warming up to the advent of cryptocurrencies. While special economic district Jeju Island is preparing to welcome blockchain projects and rival Singapore in this regard, the Seoul government is working on introducing robust ICO regulations, reducing taxes for blockchain corporations, and supporting local job creation. The National Stock Exchange of India (NSE) is testing a blockchain platform developed by Elemential Labs to conduct e-voting for listed companies, local news outlet Hindu BusinessLine reports September 27. The NSE’s pilot will entail tokenizing voting rights and using the blockchain platform to connect the firm, registrar and transfer agents (RTA), and the regulator. Hindu BusinessLine notes that tokenized votes are both easy to transfer and to proxy, and the test will reportedly be used to evaluate how easy it is to audit the entirety of the voting procedure using blockchain. Elemential Labs’ platform uses the Hyperledger framework, and NSE will reportedly take charge of developing and managing the front-end application of the system. As reported earlier this month, the Union Cabinet of India — the country’s chief decision-making body led by prime minister Narendra Modi — has approved a Memorandum of Understanding (MoU) with BRICS members on collaborative research into blockchain and other distributed ledger technologies (DLT). This summer, the Indian state of Telangana announced it would be signing several MoUs with blockchain firms as to eventually implement the technology across government services. As blockchain makes inroads with the country’s government, India’s Supreme Court is currently in the midst of reviewing the Reserve Bank of India (RBI)’s controversial ban on banks’ dealings with crypto-related entities. Just this week, the court listened to the final round of petitions on the ban, which has officially been in force since July 6. Italy is about to enter the European Blockchain Partnership, according to the country’s Member of Parliament (MP) Mirella Liuzzi, as cited by Cointelegraph Italy Thursday, September 27. “Joining the partnership will allow Italy […] to define its own line in the development of [blockchain] technology — a practice which the previous government had never implemented”. Luizzi, the MP from the governing Five Star Movement, also mentioned that the government will soon hire experts in blockchain to develop a national strategy for the crypto-related sector. The European Blockchain Partnership was created back in April 2018 to serve as vehicle of cooperation amongst EU member states. First joined by 22 countries, the organization then extended to include 26 as Greece, Romania, Denmark and Cyprus joined the group. As Cointelegraph reported in June, the Southern city of Naples had launched a focus group supported by the local mayor to promote blockchain and and a possible municipal Initial Coin Offering (ICO). Later, the Southern region, continuously attempting to expand its autonomy, announced that it was willing to launch its own cryptocurrency. Italy is reportedly trying to apply crypto-related technologies on a broader scale. For instance, Juventus – one of the most famous soccer clubs in the country — is planning to launch its own “fan token” in partnership with blockchain-based fan engagement platform Socios.com. Know what to invest? You wouldn’t want to miss DAIBC ! In 2018, new blockchain initiatives are growing strong day by day especially in Southeast Asia. With so much projects set to release their working products or applications, and also likely to grow the ecosystem with newly converted institutional money. However, this exponentially growing market can only achieved if to strongly highlight whether Blockchains can really support a decentralized world. The amount of venture capital fundraising on Blockchain-based companies so far in 2018 has already reached more than 40 percent dated since last year , according to a report released by Crunchbase News on Feb. 27. By looking at a graph of all of the venture investments this year in “Blockchain and Blockchain-Adjacent Startups,” excluding ICOs, Crunchbase found that the spikes and drops of Bitcoin’s price since Jan. 2018 has been making any venture investment steadily increase. But still… the market is still hot. Now the question is how to select a project to invest? So this time, come over to DAIBC and join its Blockchain Project Showcases on Sep 27th-28th in Malaysia!